We rented a cabin in the Great Smoky Mountains for the first time last June. 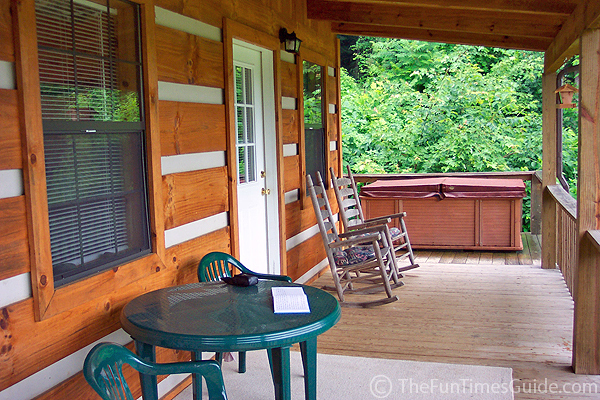 After researching several different cabins online, we opted to rent through Cosby Creek Cabins in Cosby, Tennessee. They offered the best view, the most amenities, and the lowest price — and they were just a hop, skip & a jump from Gatlinburg and Pigeon Forge. Our primary goal was to rent a Jeep Wrangler for the weekend, come and go as we liked, explore the long & winding back roads in and around Gatlinburg, and always have a refreshing jacuzzi and a room-with-a-view to return to. We stayed at the Sparrow’s Nest Cabin in Cosby, TN. It’s our favorite at Cosby Creek Cabins. We were thrilled with our entire experience with Cosby Creek Cabins — from the phone registration process to the check-out procedure. 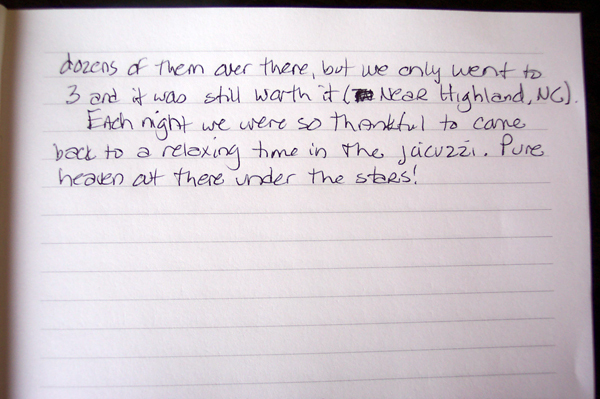 It’s obvious that Alan and Tedra Strickland go above and beyond to make sure your stay is an enjoyable one. In fact, Alan was extremely helpful over the phone, and we didn’t even need to go through the “official check-in” procedure at their office in Cosby. Instead, he just mailed us all of the paperwork days ahead of time (including the pass-code for the cabin door, in lieu of a “key”), and we were free to arrive at our convenience. First impressions are everything… and we were certainly amazed the first time we saw the cabin up close! Pictures online just don’t do it justice. You need to take in the whole “experience” — the view, the “quiet”, the clean fresh air, the “simplified” lifestyle out in the country. At the Sparrow’s Nest on this weekend, we were certain that we’d found paradise! They always run specials at Cosby Creek Cabins too, like “stay 5 nights, get the 6th free”, and “children under 18 are free”. $15/night “cleaning fee” — well worth it. There’s a tiny store a couple miles from the cabin. Approximately 15 miles to Gatlinburg. 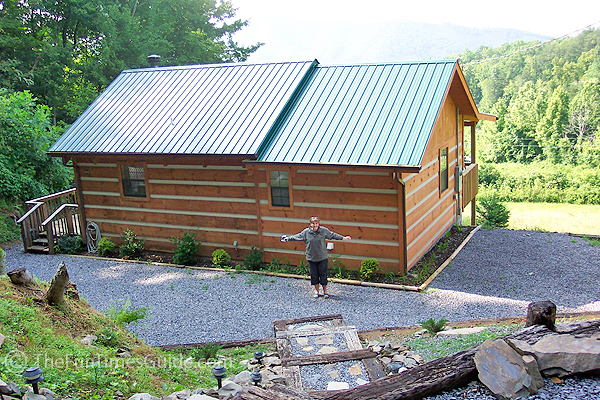 We highly recommend renting a cabin through Cosby Creek Cabins, specifically the Sparrow’s Nest. In fact, we’ve tried to rent through them two other times, but they’ve been sold out — so just remember to call for reservations EARLY!